Discover the world of HAMMER BOXING! There you will find detailed information on our products along with plenty of photos and various videos. 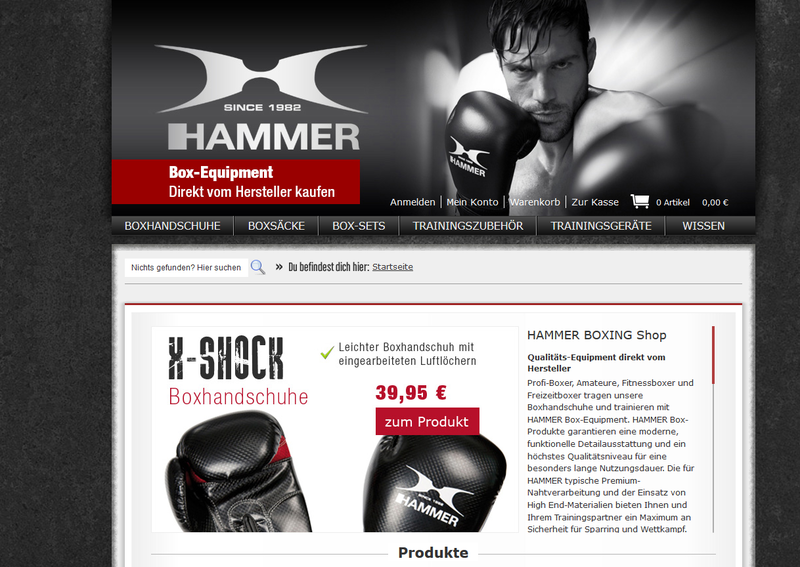 You can also learn about the history of the brand and view current news at www.hammer-boxing.de. The HAMMER BOXING offers beginner products as well as professional equipment for competitive athletes. Collaboration with boxing gyms as well as with 20th Century Fox on the production of Rocky Balboa is a testament to the quality and competence of HAMMER BOXING products. The product portfolio includes boxing gloves, punching bags and complete sets in different sizes, materials and price and quality levels. HAMMER offers a complete boxing program including accessories such as punching mitts, speed bags, groin protectors, mouth guards, jump ropes and much more.